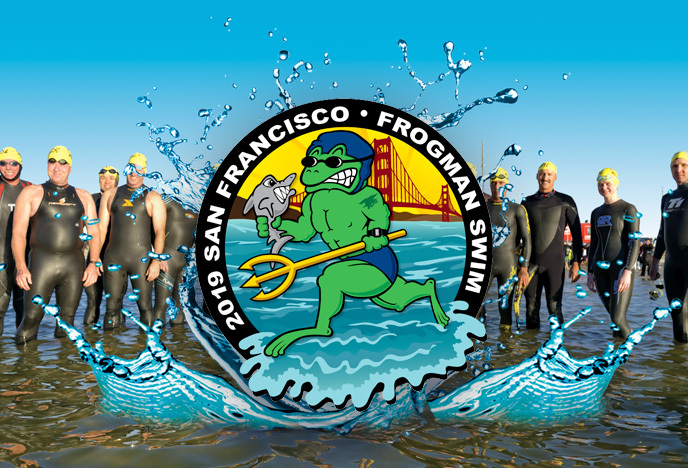 The San Francisco Frogman Swim is a two mile swim to raise awareness and funds for the Navy SEAL Foundation. The San Francisco Frogman Swim (sister swim to the Tampa Bay Frogman Swim) is a two mile open water swim and fundraiser that benefits the Navy SEAL Foundation (NSF), a 501(c)(3) with a coveted four stars and 100% rating by Charity Navigator. This is a charity event to benefit the mission of the Navy SEAL Foundation to provide immediate and ongoing support and assistance to the NSW community and their families. Swimmers are asked to participate in raising funds – an ideal goal is $2000.00 per swimmer. While $2000 is the ideal fundraising goal per swimmer, many swimmers will raise more than that amount. If you continue on with registration, we simply ask that you bring that same effort of fundraising commitment as you may be taking the slot of a swimmer who has every intention of meeting or vastly exceeding that $2000.00 goal.